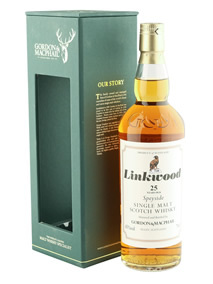 In 1968 George Urquhart a 2nd generation of the family that still own Gordon & MacPhail created the Connoisseurs Choice. Since then close on 100 distilleries have been bottled and well over 2000 bottlings each one telling it’s own story. 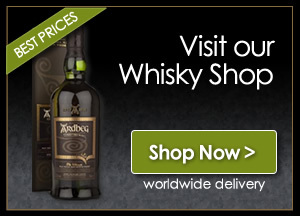 Established by James Gordon and John Alexander MacPhail as a grocery busines in 1895 it has grown into an international business involving retailing, specialist UK wholesaler, an international trade partner, distiller and single malt maturation experts. Here at Whisky Boys HQ we have several expressions gathered over the years from their vast selection that is always on offer. As part of this celebration we received a press pack, which contained seven samples of their Connoisseurs Choice range and three from the Discovery range. So one night soon together with Nicola we are going to enjoy these samples, especially the 1984 Caol Ila and the 1987 Mortlach. George Urquhart, second-generation member of the Urquhart family that owns Gordon & MacPhail, first pioneered the ‘Connoisseurs Choice’ range in 1968 at a time when very few whiskies were bottled as single malts. Presenting these new releases as a range effectively invented a category in a market which, up to then, had been dominated by blends. 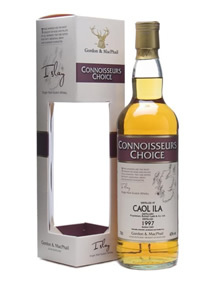 In the late 1960s the ‘Connoisseurs Choice’range provided a platform for many of Scotland’s single malt distilleries, some of which had never before been released as single malts. The new series of ‘Connoisseurs Choice’releases is aged to a minimum of 30 years and features single malts from distilleries such as Mortlach, Caol Ila and Linkwood, among others. Available in decanter-style bottles inside engraved wooden presentation boxes, each whisky has been selected for bottling by Associate Director of Whisky Supply, and grandson of George, Stuart Urquhart at its peak, a skill handed down through four family generations. The premium expressions are complemented by 30 further ‘Connoisseurs Choice’single malts. Matured in Gordon & MacPhail casks in small batches, all are non-chill filtered and bottled at natural colour. For more information about the new ‘Connoisseurs Choice’and ‘Discovery’ range and the streamlined portfolio, visit Gordon and Macphail. Previous story The Scotch Malt Whisky Society – Why should you join?